Gavitec AG – mobile digit worked together with Hewlett-Packard and BBC on the project “Coast Mobile Experience”, a series of mobile phone walks created to accompany the BBC’s successful “Coast” TV documentary series and offer visitors the exciting opportunity to call up location-specific audio and WAP content from the show by using their mobile phones (LBS). “design QR” can put logo/ any kind of images into a standard QR code, in spite of not using error correction data. It means the inside logo of design QR code can hold encoded data as the same as the other area. really nice. it’s actually quite hard to put drawings in that big. 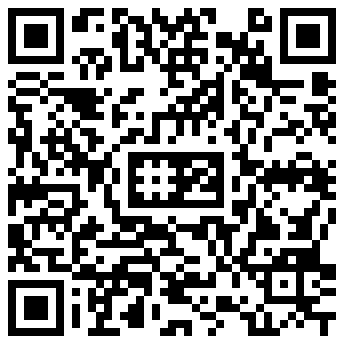 this one http://www.embrasserie.com/mySpace/embrasserie-qr-code-second.png i made doesn’t seem to be read by every reader. is there a online generators with different types of error correction? ekko – There is one listed in QR Code Generators that allows error correction settings Raco. Hello, I’d like to add logos in to QR codes for a few of my clients, including myself. That “design QR” page is great, but I don’t read Japanese. Does anyone know of an english company generating codes with custom logos I could use? Doesn’t have to be free. I agree with Google man up there. I’ve had great results with meCard QR codes. My code contains name, telephone number and email address – it fits perfectly onto a standard business car and can be read by all phones I’ve tried. For printing I use Vistaprint.co.uk. They provide a template for designing whole cards in Photoshop etc, or else you can upload a gif of the QRcode. Make sure you sign up and wait for their Premium Business card offers to arrive by email. I used 30% error correction on the original code in order not to totally destroy the original code. Obviously the word UNIQUE is a lot longer that BBC! I have been trawling the entire Internet and can not find a generator or information about how to create these QR codes including som three og four letters…. Any help out there – I have found som in chinese?!?!?!?!? I use Quickmark for iPhone and all scan easily. Let me know if you have any problems. It is very interesting. Is it just a simple copy and paste? i pasted a image on a QR code,but it can’t be read. who can tell me how to do it? thank you! Interestingly enough, after a little work, I was able to layer a b/w photo of my face over a qr with my personal contact info. I had to reduce the contrast in white area and increase in the dark, but with a little photoshop magic it worked well. I would post but I don’t want my personal info displayed for all to see. I think that may be kind of like what you are talking about?